The popular video game franchise Ratchet & Clank is in line for a big screen adaptation, as Rainmaker Entertainment and Blockade Entertainment have announced that they plan to make a 3D animated film out of the Insomniac Games property. The current goal is for the movie to release in early 2015. The first game in the PlayStation exclusive franchise was released in 2002. 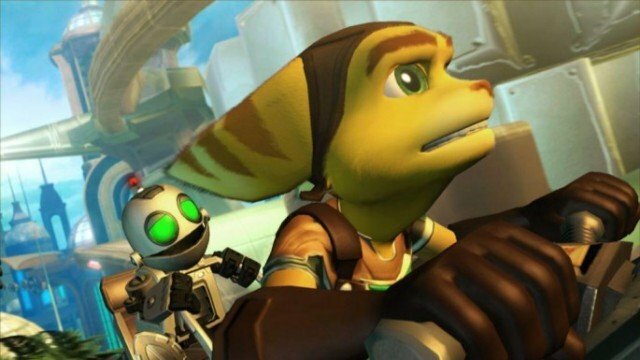 Since then, Ratchet & Clank games have sold over 26 million copies worldwide. The most recent game, Ratchet & Clank: Full Frontal Assault, was released in late 2012. For those who aren’t familiar with the games, they center around two unlikely heroes that struggle to stop a sinister alien, Chairman Drek, from destroying every planet in the Solana Galaxy. Ratchet is the last of the lombax, and Clank is a tiny brainy robot. Not only are plans for the film in place, but a director and a writer have already been found. Jericca Cleland will be at the helm of the project, working off a script by TJ Fixman, who is a senior writer for Insomniac Games. Fixman’s script should ensure that the game’s signature dialogue and humour are present in the film. Another thing the film will share with the games is the voice talent. In an effort to keep the characters consistent, voice actors James A. Taylor, David Kaye, and Jim Ward are all on board for the film. Blockade CEO Brad Foxhoven says that the film isn’t just aimed at dedicated fans of the games, but they’re hoping it can reach a wide audience and bring in a whole new generation of fans. He also says that this will serve as an origin story of sorts, showing how the characters came together. What do you think of a Ratchet & Clank movie? Is this a game that you want to see adapted? Share your thoughts in the comments section below.